Bryn Dickerson rides for team Fs Patrol Funn in the UCI World Cup. 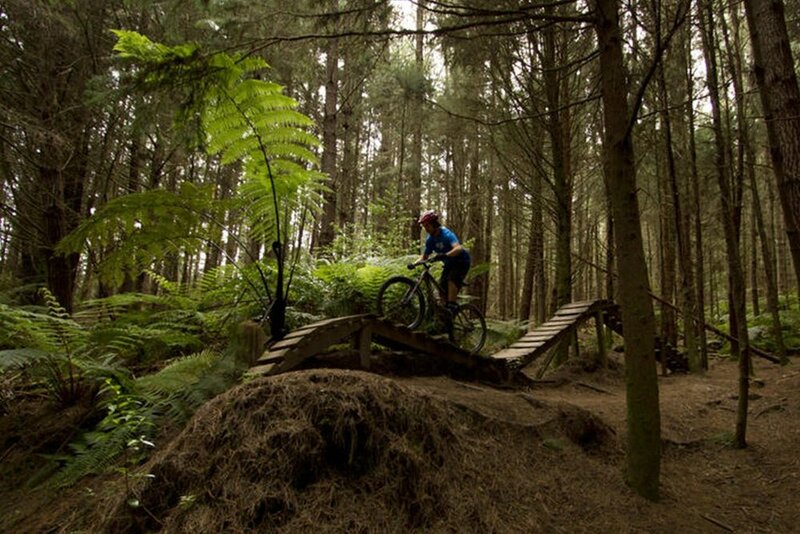 We met Bryn a few months back through a friend and Bryn did some downhill riding in some videos for us. Since then we have got to know Bryn and his passion for riding, teaching other riders and finding his stoke on the bike. Bryn traditionally wouldn't wear headphones on the bike as there was nothing he trusted as comfortable and secure enough to take the speed and bumps of riding. That was until he was introduced to Earshot. Bryn has tested many versions of our headphones and loves them. Bryn approached us about an edit at the awesome Mirimar pump track in Wellington New Zealand as a way to showcase Earshots versatility as an action sport headphone, and we jumped at the opportunity...and here is his handy work. We left the entire edit and shoot up to Bryn to organise and he nailed it. We hope to do more of this in the future. And here it is...check it out and watch out for more over the next few months. It's been 8 weeks since our Kickstarter ended and we are excited that the campaign has resulted in us meeting some great business partners and potential go-to-market partners. This means Earshot headphones are coming! When we started this journey we knew we had something special that has never been done before for action and adventure athletes with audio. This relentless positivity will continue until we know that everyone out there, doing it, going ALL IN, get's the headphones they deserve. Things are moving fast! Watching this space. My Dad, Mark, for his constant inspiration and brand/comms ideas...Earshot was his idea! BCC, the best business incubator around. The support they have provided us has been amazing. Jeweler Sam Drummond and a crew of five guys from all different walks of life, leave the house every Saturday morning to run. For anywhere between 20-40kms. Most people think this is a crazy hour, but for them it keeps them grounded. The city is dark at 5am, the air is crisp and fingers are numb trying to tie the laces on well-worn sneakers. But they do it, because of the profound sense of clarity they experience from getting out and running. Together. A form of meditation, ‘clearing out the cobwebs’, or as Sam would say ‘it gets me out of my head’. Its no secret running impacts positively on the brain. Studies have recorded a positive link between exercise and an increased blood flow, to the frontal executive network system of the brain. This area is associated with many of the attributes we link with ‘clear thinking’, such as concentration, time management and planning. This area is also known to be linked to emotion regulation. Sam Drummond wasn’t always a running enthusiast, but starting running with a friend in 2009 and realized “i’m good at this”, which sparked a passion, that has seen him go on to compete in many events traversing rugged terrain throughout New Zealand. The camaraderie and determination of this group, energizes them all to set goals and spur each other on. They recently set a goal to circumnavigate three New Zealand mountains in a calendar year. After a few navigation issues (thanks to the lack of rural sign posts! ), they did it... or in the words one of them quoting Edmund Hilary, “we knocked the bastards off”. Could there be any better place to run, than out of the confines of the city. Running in native bush, scrambling up hills and navigating new territory in rain, hail or shine? This is what gets the blood pumping for these guys and makes them feel alive. It is also the beauty of New Zealand, in which you can live in a city, and have a rugged landscape right on your doorstep. There is a certain level of speed and endurance this crew enjoy, but within this there is a grace for age, or those with an injury, with a touch of sarcastic wit to challenge each other to “speed up” or “get hard’ as the last one back is shouting the coffees. Some may say unlikely friendships have formed, focused around the pursuit of an outdoor passion and doing something which enables them to be better fathers, husbands, partners or employers. These men run while most of us are still tucked up in bed anticipating our alarms or brewing our morning coffee. Its not easy. But this time works, as they have children at home to help with, businesses to operate to make a living, and a life to live- in which they have discovered what energizes and keeps them balanced. Takeaway coffee cups are a real problem. It is super awesome that there are new technologies that mean the takeaway cups are biodegradable or recyclable. BUT, in order for them to break down they have to end up in the recycling system or the system needed for them to bio-degrade. Unfortunately, we mostly end up putting our takeaway coffee cups in the rubbish where they end up with all the other rubbish...in the landfill. At Earshot we are trying our best to have as little waste as possible and be as carbon neutral as we can. SOOOO, at Earshot we all have Keepcups. I am pretty stoked that I can say that I have used under 5 takeaway coffee cups since the start of 2017. I have been known on the odd occasion to ask a barista to clean my cup for me. Or, if I am on a roadtrip and 30 minutes in, turn around to get my Keep Cup. We want to play the long game with the environment, so please join us! Atawhai Charteris recently became one of the youngest men to walk the length of New Zealand from Cape Reinga to Bluff, which is approximately 3000kms. 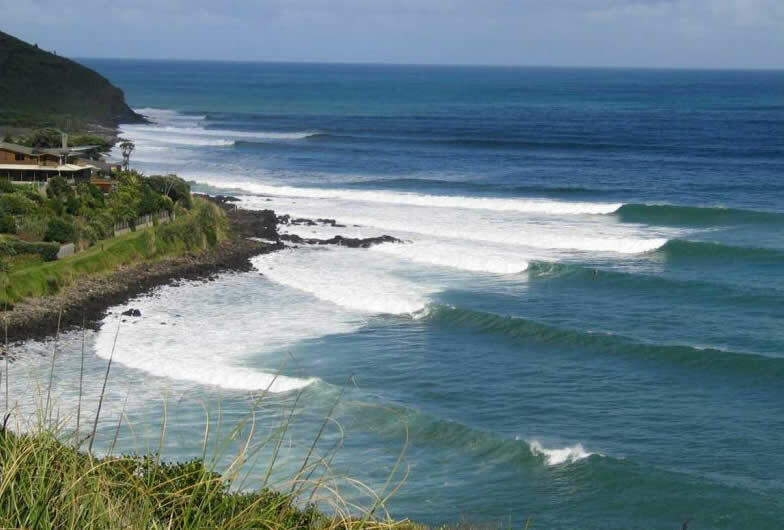 In some respects, he is an ordinary teenager, who is finishing school, living in the surf town of Raglan, hanging out with his friends and looking for that next ‘sick’ wave. But what struck us about Atawhai, is that there is nothing ordinary about him. He has a thoughtful and insightful outlook on life for someone so young. He wants to take responsibility for his own decisions, doing what makes him happy and not necessarily what is expected. Atawhai explained that his adventure was about inspiring people to seek “authenticity” and to “celebrate a connectedness with people in real life”. Concepts some of us are only beginning to grapple with in our later years. This adventure was spurred on by a desire to do something "radically different" from what he was doing and something which scared him. Seeing a world in which negativity & hatred is highlighted in our news and social media feeds - he wanted to embrace the positive stories of every day New Zealander’s and those unsung heroes caring for our people and our beautiful environment. A talented film maker and photographer with a captivating style- he has documented his experiences in ‘The Southward Project’. We supported Atawhai in this endeavor and so spent some time with him recently to hear more about his journey. Documenting his experiences through film and photography, is what Atawhai loves -”visual storytelling and the cinematic side of film”. Therefore, he wanted to help the community in his way, and worked with Forest & Bird on highlighting their conservation projects along the way. As a filmmaker, his hope was to capture a story that inspires humans to consider their relationship with adventure while promoting the preservation of wild and uncharted places. Atawhai spoke of the diversity in the landscape of New Zealand; “its ridiculous, you can be in farmland and then over the next hill is bush, mountains, and then around the corner and you are at beaches!”. 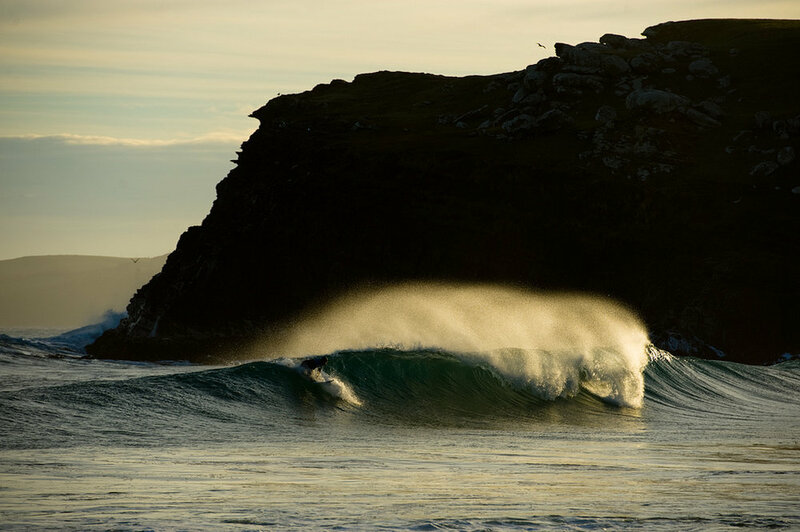 Living in a comparatively small country which is not densely populated, the natural terrain retains a rugged untouched beauty, and navigating the landscape was both physically and mentally tough. The support from Torpedo 7, an outdoor adventure equipment company, was invaluable for Atawhai, as they provided him with all the gear he needed to be safe and prepared in the environment. Walking the length of New Zealand allowed him to meet & connect with many people along the way - “we were all going through the same struggles; hungry, cold and sore”. He had limited access to the internet, and reflected that connecting with people in “real time” is what it was like in his grandfathers’ era. The reliance on devices in the current world, particularly cellular phones has become prolific, in which any spare moment is filled with scrolling and updates. How is this affecting us and our ability to connect? To be in the moment? The New York times recently posted an article, in which New Zealand physiotherapist Steve August identifies increasing negative effects on our physical state from what he calls the ‘ihunch’- slumped shoulders, head down and an unnatural posture, which is a result of constantly looking at devices. Amy Cuddy, professor at Harvard Business School and author, stated in summary of this article, “your physical posture sculpts your psychological posture, and could be the key to a happier mood and greater self-confidence”. We reflected with Atawhai on ‘The Southward Project’, in that one of the underlying premises of his journey, was about connecting, but also disconnecting. So what next for Atawhai? He said he has been “loving having time to relax”, after the physicality of his trip. He will focus on finishing his last year of school, whilst working on collating the footage from ‘The Southward Project’, which will take time to edit and tell his story. He is working through film release options, but said he would like to have a photographic exhibition in his home town Raglan. Atawhai has also been invited to speak at a few public events, a new challenge for him, which he is embracing. Nothing is set in concrete for after he finishes school - university is an option, but he just wants to figure out what he is really passionate about and do it. We need your help. We are getting ready to launch our product and need your help to get our product manufactured and out to people around the world. READ ON IF YOU ARE UP FOR IT! People talk about how it takes three years to make an overnight success...they were right!! We just wanted to make something that you PUT ON AND FORGET THEY ARE EVEN THERE. So we got building and invented the Magnetic Shock Lock system. This system is a WORLDS FIRST and uses magnets in the earbud and the arm to secure the headphones to your ears. It has taken us hundreds of prototypes, thousands of hours of testing time, many sore ears, hundreds of discussions and testing sessions with various athletes and we finally cracked it. We need help. We have bootstrapped (spent all our own money) our way to this point where we have nailed the Shock Lock system and the design of the product. But being two lads from New Zealand, both with day jobs and working on this on the side, we need your help. We are launching a Kickstarter campaign that gives people a chance to pre-purchase our headphones. By pre-purchasing you are providing us the much needed money we need to get our first batch of headphones made and out to customers. In the early stages of prototyping, my kitchen table has been my workshop. My family puts up with crap all over the kitchen, from polystyrene balls, craft knifes to lots and lots of magnets. I guess the positive part is that they can see that I am working and not taking the piss when I say that I am working hard on making this product work. You can even track some of the genesis of the product through shots of us working at the kitchen table. Thanks to those who are helping us!! This week we kick off our next round of beta testing with our products. Massive thanks to those people who are helping us and taking our products on the trail, on their bikes, on their skateboards and all the other places their adventures are leading them. ‘Richard, so this has happened, the first prototype was s%^$, I am not sure whether I should keep going’ I said to him. His frustration with me was obvious, he was looking down at the floor, rubbing his forehead between his fingers and thumb, leg jiggling… he looked at me with an intense stare..
That sticks with me to this day. Thanks Dr Richard Curtis!